Alison is a member of the Legislative Council, which is the Upper House of the Western Australian Parliament. Alison represents the more than 362,000 people who live in the North Metropolitan Region, which covers just over 872km2 from Butler in the North to North Fremantle in the south and west as far as Wanneroo Road. 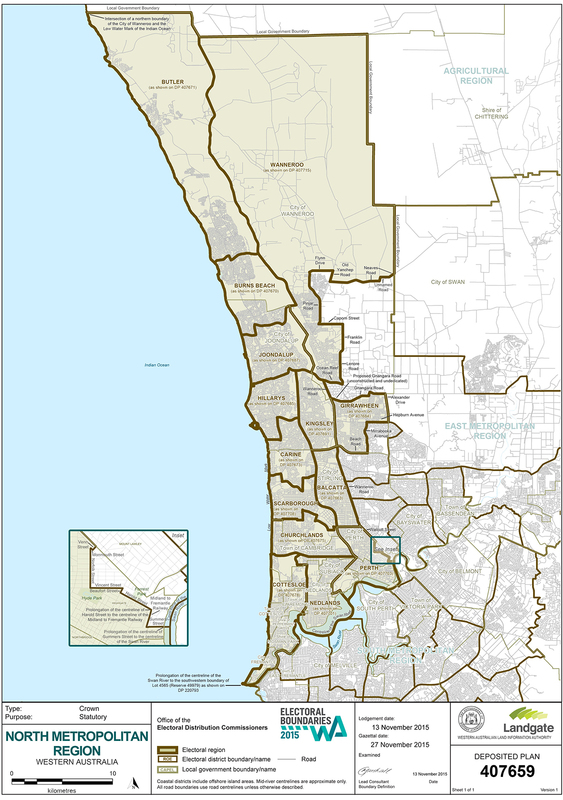 The North Metropolitan Region includes the 14 districts represented in the Lower House, including Balcatta, Butler, Carine, Churchlands, Cottesloe, Girrawheen, Hillarys, Joondalup, Kingsley, Nedlands, Ocean Reef, Perth, Scarborough and Wanneroo. ‘Demographics (from Australian Bureau of Statistics Census 2011) The majority of the North Metro population (314,902 persons) were born in Australia, with major groups born overseas hailing from the UK, New Zealand and South Africa. Other significant immigrant groups are from India, Malaysia and other European countries. 0.8% of the North Metropolitan Region population are Aboriginal or Torres Strait Islander. The median age of persons in North Metro is 36, in line with the WA average.